Founded in 1995, MFAC, has been providing Engineering consulting and simulation software solutions to the leading Metal forming companies, R&D organisations and Educational institutions across Canada and USA. We deal with problems in areas such as Sheet metal forming, Vehicle crash analysis, Forging, Extrusion, Rolling and Optimization of designs. 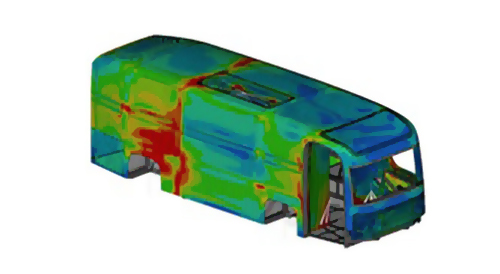 LS-DYNA is the world's most advanced general purpose nonlinear finite element program. It is capable of simulating complex real world problems, and is widely accepted as the premier analysis software package for today's most challenging engineering applications. 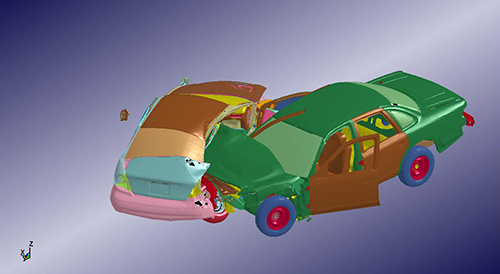 LS-DYNA can predict how a prototype will respond to real-world events, thus minimizing the time spent in design and money spent on experimental testing. LS-DYNA is well optimized on all platforms and can also run on MPP platforms. Its accuracy has been proven through correlation with experimental data. The developers at Engineering Technology Associates, Inc., released eta/DYNAFORM in response to the user demands for a streamlined, sheet-metal-forming-simulation product. This complete package operates in a single code environment, includes explicit and implicit solvers, and features 2D and 3D capabilities. Specifically designed to improve efficiency, eta/DYNAFORM reduces the tryout time and costs that are associated with the design and development of the tooling process. is an engineering simulation software package for analysis and optimization of metal forming technologies developed by QuantorForm Ltd. It covers many features of metal forming simulation for large and small forging, rolling and extrusion companies as well as research and educational establishments. Copyright © MFAC. All rights reserved.